Badminton dates back almost 2000 years to Ancient Greece, China, and India, where it was originally known as battledore and shuttlecock. Over centuries, it has evolved to the version commonly known today, which is played in the Olympics and competitively across Europe and Asia. Cihla, a senior at Northside, started playing badminton at the young age of six. She received a bag of sports equipment, discovering some badminton racquets inside of it. Her love for the sport quickly spread to others across her neighborhood, as she organized competitions and practices for her friends. As opposed to her peers, Cihla recalls, she took the sport very seriously. She shares that she hopes to pursue badminton at the collegiate level. Women’s badminton will be coming to Northside as an official IHSA Spring sport. There is not a men’s team; however, the club is still open to all Northside students. Like other spring sports, Badminton will run until May. 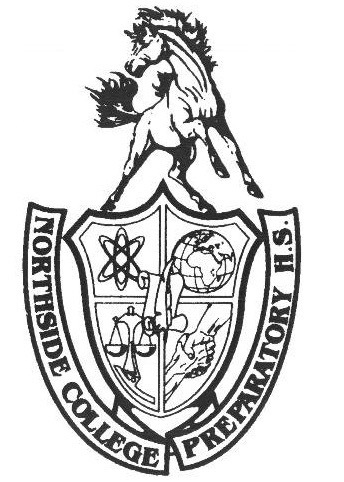 Northside’s team is expected to play against teams representing Taft, Payton, and other city and suburban schools. The team is also planning to host multiple tournaments, including the City Championship Tournament, which is on April 28. For those interested in trying out for the sport, the last tryout date will be on March 8 from 5:30-7:00 p.m. in the gymnasium. Practices will normally be weekdays and Saturdays for one and a half to two hours. For those who do not make the team or cannot join it, the club serves as the perfect opportunity to play badminton. Both will coexist, but the sport takes place strictly during the spring season, while the club is year-round. Cihla urges anyone interested in joining the club or the sport to email her at ecihla@cps.edu. She hopes that both will allow Northside students to try something new and learn more about themselves. The sport is a great way to stay active, meet fellow students, and be a part of a larger team.